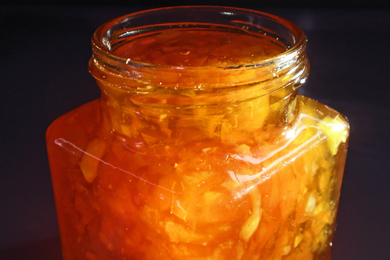 Marmalade or Marmite? What does it mean to follow the example of Christ? I wonder whether you identify yourself as a Marmite Christian or Marmalade Christian? Let me elaborate. Earlier last year, OFSTED warned the government that hundreds and hundreds of children have gone missing from state registered schools in cities like Birmingham. The children are being taught in illegal religious schools and susceptible to radical extremism. What is the church doing about it? Birmingham Cathedral is celebrating its 300th anniversary by offering people the chance to turn their emotions into a referendum-style art project based on votes about feelings. They are invited to answer a different question each day about “how they are feeling” at this point in the year. Questions include: “Have you laughed today?” and “Are you looking forward to next year?” And the answers are displayed as eight-foot tall interactive boards. David Virtue observes, “Niceness” with a capital ‘N’ is it seems the premier product the Church of England is selling to its non-customers. Sociologists have put a label on this product. It is called ‘Moralistic Therapeutic Deism’. I call it ‘Marmalade’ for short. There is a God who created the world and watches over us. According to the National Office of Statistics, 59% of people in Britain describe themselves as Christians. The other faiths combined represent just 8%. If 59% call themselves Christians yet less than 10% attend church regularly, we have a massive disconnect between people’s perception of Christianity and the reality. This week I upset a nice lady who came to see me about having her child baptised. She said she found our baptism policy on our website most unfriendly. She could not see why it was necessary to attend church in order to have her child baptised. She interpreted my ‘not yet’ as a definitive ‘no’ and was going to look elsewhere. Do I need retraining? Do I need more marmalade or Marmite? Assimilation or transformation? The realisation that all was not well in Britain is something the Church of England faced as long ago in the 1940s as Britain began to rebuild itself after the Second World War there was a sharp decline in church attendance and a rise in material prosperity, individualism and recreational alternatives to church. The then Archbishop, William Temple, commissioned a radical report entitled “Towards the Conversion of England” which called for greater emphasis on evangelism in the work place and the use of the media. Alongside this strategy the Church of England also defined what it means to be a follower of Jesus Christ. In May 1954, at the request of the Church Assembly, the Archbishops of Canterbury and York issued “A Short Guide to the Duties of Church Membership”. Many years ago, we adopted this guide as the basis for our own Membership Declaration which we will reaffirm at Easter. You should have received a copy when you came in this morning. In the 1960’s C.S. Lewis wrote a very helpful essay on church membership in which he reminds us that : “The very word membership is of Christian origin, but it has been taken over by the world and emptied of all meaning.” Today, most people associate the term “membership” with clubs, breakdown services and air miles. The Scriptures provide a very different model of membership. Membership is about joining a family, about becoming a vital and unique organ of a living body. We are all born into a biological family. But when we become a child of God, we are born again into the family of Jesus – a spiritual family. When we receive Jesus and decide to follow him, we become members of his family. Other believers become our brothers or sisters too! That is why we are called ‘Christ Church’ because we are Christ’s local church family. We expect and encourage all who regard themselves as Christians “To follow the example of Christ at home and daily life, and to bear personal witness to him.” What does that mean? What will it look like in practice? To follow Christ must involve every part of me. To be meaningful, it must involve my mind, my heart and my will. Please turn with me to John 13. Let’s learn from what Jesus expected of his followers. Three things we are told Jesus ‘knew’. First, “Jesus knew that the time had come for him to leave this world and go to the Father.” (John 13:1). He knew he was rapidly approaching the most important moments of his life. His destiny from eternity past. He knew that the pain, the shame and the agony of the cross was before him. Here is the question: If you knew that you would die tomorrow, what would you do today? John wants us to see something significant about Jesus. Fully God and fully man, Jesus is facing something we cannot imagine. He doesn’t say to the disciples, “Don’t you care about what I’m facing?” His focus is not on himself. He is concerned that they be prepared for what’s about to happen. Jesus is focused on them. Jesus knew the time. Do you? Second, “Jesus knew that the Father had put all things under his power, and that he had come from God and was returning to God;” (John 13:2). He knew who he was. Jesus, was the Lord of the Universe. If anyone didn’t have to humble himself to wash the feet of farmers and fishermen, He didn’t. But because he knew he was Lord of the Universe, because He knew He was not diminished by showing his love in humble service, he took the towel and basin and stooped to fulfil the role of a foreign slave – to do for them what they were unwilling to do for him, let alone for one another. Do you know who you are? Do you know your destiny? Mark Twain said “The two most important days in your life are the day you are born and the day you find out why.” Do you know why? Jesus knew the time. Jesus knew who he was. Third, notice something else Jesus knew, “For he knew who was going to betray him…” (John 13:11) Judas, full of deceit, full of hypocrisy, is about to “stab Jesus in the back.” Jesus knows it. What does Jesus do? What would you do if you knew it was coming? Some people’s motto is “Do unto others before they do unto you.” Not Jesus. Jesus does not distance himself from Judas. Jesus does not point his finger at Judas and say to him, “How dare you—after all I’ve done for you?” Instead he loves him to the end. He does everything possible to bring Judas to repentance. Can you wash the feet of your enemies? Will you serve a person knowing it probably won’t be reciprocated? What Jesus knew. He knew his time. He knew his Father. He knew his betrayer. Following Jesus involves my mind. What Jesus did: Following Jesus engages my will”so he got up from the meal, took off his outer clothing, and wrapped a towel around his waist. After that, he poured water into a basin and began to wash his disciples’ feet, drying them with the towel that was wrapped around him.” (John 17:4-5) I imagine there were a few open mouths, some wide eyes and hushed conversations as, one by one, the disciples realised what Jesus was doing under the table. Without saying a word, he gives them a lecture. Isn’t this the way we learn our most memorable lessons? Notice the ‘action’ words in verses 4-5. I imagine there were a few open mouths, some wide eyes and hushed conversations as, one by one, the disciples realised what Jesus was doing under the table. Without saying a word, he gives them a lecture. Isn’t this the way we learn our most memorable lessons? Notice the ‘action’ words in verses 4-5. He left his comfort zone. He made his body do something it may have not wanted to do. My alarm went off at 6:30 this morning. My body did not want to get up. After a lengthy discussion with my body, it got up. To be a servant you must engage the will. Jesus got up. To serve others we usually must lay something aside. Most of us live with a full schedule of activity. If I’m going to serve someone I often must give up doing something for myself. Jesus got up and took off his outer clothing. After that he poured water into a basin.” He made preparations to meet the need no one else was willing to. I like that. At some point we too have to begin. We can think about serving. We can pray about serving. We can prepare for serving. But at some point, we must start serving. At some point, you must start fulfilling your destiny. Jesus begins with a question: “Do you understand what I have done for you?” Do you? It goes beyond just getting our feet washed. It goes way beyond getting our needs met. That’s Marmalade Christianity. Jesus loves us. He receives us. He meets our deepest needs. And sometimes people think that’s all this is about—getting my needs met, getting my feet washed. No, Jesus is giving them a lesson in how to be a servant leader. In John 13:15, Jesus explains “I have set you an example that you should do as I have done for you.” If my experience in God is only about me, only about me getting my needs met, I’ve missed the point of being saved. We are saved to serve. Archbishop William Temple once said, William Temple If church is just about me getting what I want, I’ve missed the whole point. The greatest human tragedy is surely for a person to never receive Christ and experience his forgiveness. The second greatest tragedy must be for someone to experience the love, the mercy and grace of God—but never share that blessing with others. Notice Jesus is explicit in telling the disciples why he has done this. “Now that I, your Lord and Teacher, have washed your feet, you also should wash one another’s feet.” (John 13:14). This is how to experience God’s blessing. This is how we follow the example of Jesus Christ. May God move us from being marmalade Christians to Marmite Christians. May he make each one of us active, fully devoted followers of Jesus Christ today, as we engage our minds, our hearts and our wills in serving him. Let us value our membership at Christ Church. Lets pray. This entry was posted in Bible, Sermons, Theology on January 8, 2017 by Stephen Sizer.